Within our facility we handle materials up to 13 inches in diameter and can cut to specified lengths on our fully automatic saw to meet your particular needs. 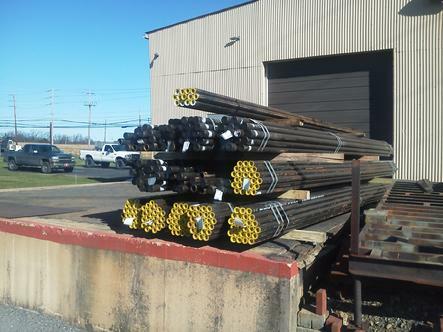 We stock various shapes and sizes of Carbon Steel, Plastic, Aluminum, Stainless Steel, Structural Steel, and much more to assist with a faster turn around for our valued customers. Our location also has a Loading dock with both rear and side load capabilities and can handle more than one truck at a time. ©Copyright 2013, Squibb Custom Machine, Inc.